Promotional pens make practical gifts that are perfect to get your brand across to target customers. 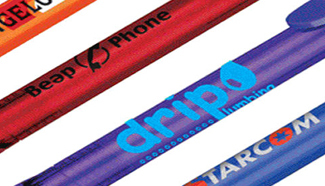 At APS we have a large range of pens to suit any budget to help you promote your business. Print your logo and message onto your promotional pens so that your customer will see your logo and message every time they use your pen.